DESCRIPTION: FAMILY TRUST AUCTION!!! 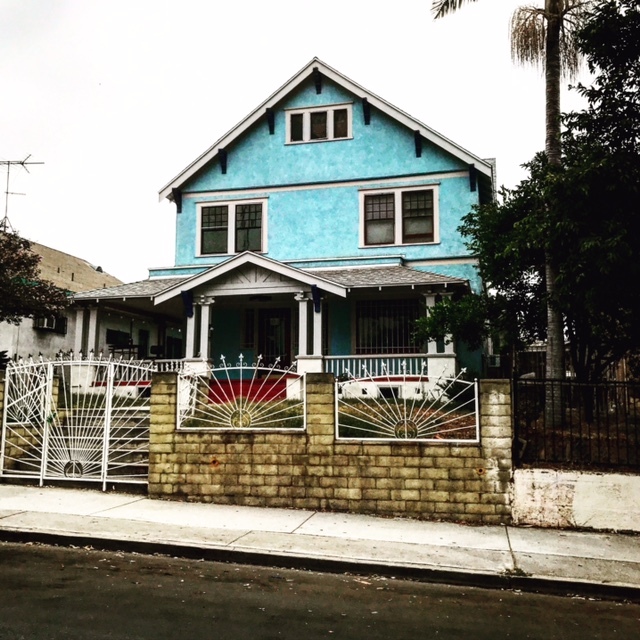 GREAT OPPORTUNITY TO BUY A 2 STORY, 7 BEDROOM, 2 BATHROOM HOME IN THE BOYLE HEIGHTS AREA OF LOS ANGELES. UPSTAIRS ARE 6 BEDROOMS AND 1 BATHROOM. DOWNSTAIRS FEATURES 1 BEDROOM, 1 BATHROOM, FRONT FOYER, DINING ROOM WITH BUILT INS, FRONT FACING DEN WITH FIREPLACE, FAMILY ROOM, KITCHEN AND ENCLOSED BACK PORCH WITH UTILITY SINK & WASHER/DRYER HOOKUP. NEWER ROOF AND SOLAR PANELS (SOLAR PANELS NOT HOOKED UP TO THE GRID). CENTRAL AIR CONDITIONING. FRONT PORCH AND TWO CAR DETACHED GARAGE WITH ELECTRIC ROLL UP DOOR (GARAGE ACCESS FROM REAR ALLEY). RECENT UPGRADES WERE MADE TO THE PROPERTY BY A BENEFICIARY OF THE TRUST WHO IS CURRENTLY LIVING IN THE PROPERTY. BUYERS AND BROKERS TO VERIFY ALL PERMITS. CURRENT TRUSTEE HAS NO KNOWLEDGE AS TO THE QUALITY AND EXTENT OF THE WORK. THE SIX UPSTAIRS BEDROOMS ARE CURRENTLY RENTED. SOLD SUBJECT TO EXISTING OCCUPANCY. LOT SIZE: 7,443± SQ. FT.